Our friendly and relaxed Cornish style will give you a true taste of Cornwall. We invite you to come and share our small piece of paradise. 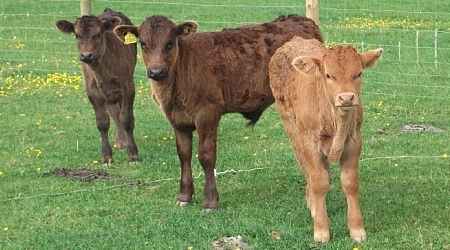 On our smallholding we have a small herd of cows with calves at foot. From the campsite you are able to look down over rolling hills leading into a valley with woodland. 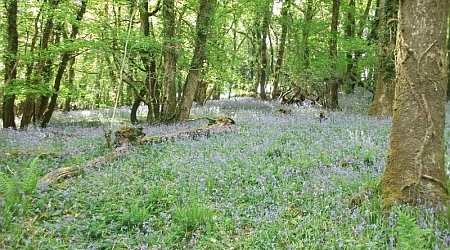 Beautiful woodland walks boast an abundance of wild flowers and bluebells. A stream runs the length of the farm. We have a small fishing lake situated in a fenced-off area, stocked with coarse fish for those interested in fishing. There is a 3 mile circular walk through a lovely green lane and forestry within a ¼ mile of the site, ideal for those who love walking or for exercising your dogs. We pride ourselves in doing our bit for the environment, recycling as much as possible. We have also installed an 8kw solar panel system which is helping to heat the water and power the hook-ups on site. Water is pumped from a Bore Hole 100 feet down in the Cornish bedrock before going through our own filtration system, tested and approved by Cornwall Council yearly. Over the last five years we have completed 5 barn conversions which are for residential letting. These allow our tenants to enjoy the peace and quiet of country living - and their children and grandchildren can get a taste of living or staying in the countryside, seeing the animals and wildlife. Please call us on 01579 321489 (mobile - 07851 020426) if you would like to know more. For details of our charges, click here.